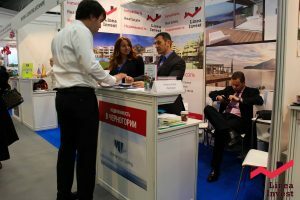 The Moscow Overseas Property & Investment Show gathers leading overseas property experts. Developers, real estate agents and brokers, banks and management companies presented their best projects, high-quality analytics and economic forecasts. The investment show offers its visitors a chance to obtain professional advice on most lucrative investments and learn about up-to-date methods of asset management and capital appreciation. Most diverse property bids from 25 countries will be introduced at the show by more than 80 companies.